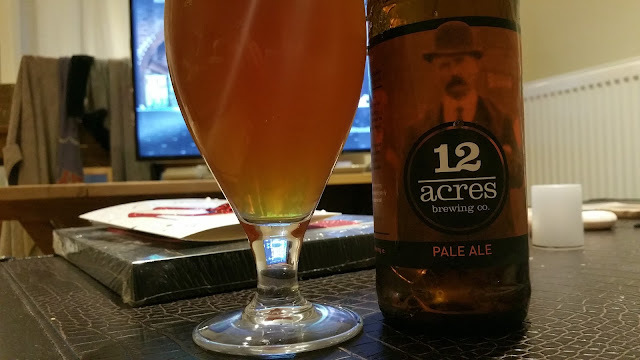 I'm actually surprised that I haven't written about the core 12 Acres beers before. I did write about their Golden Harvest pale ale which they brew for Aldi. Anyway, beer writer, radio waffler and beer distributor Dean McGuinness passed these onto me to write about. The Pale Ale is a 4.6% (slightly stronger than Golden Harvest) beer. There's a degree of toasted biscuits for the malt backbone and a little grapefruit like citrus but to be honest, I thought Golden Harvest was a little more interesting overall though that could be a freshness issue. 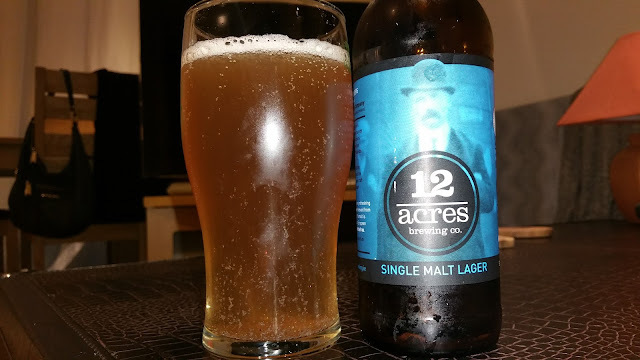 Their Single Malt Lager was interesting. Further reading on the label shows it as a Kölsch Style Beer. There's no mention of what type of malt is used but I know from their website that it's their own type of malt which is probably spring barley or basically ale malt. I believe real Kölsch from Cologne uses mostly pilsner malt. It was quite grainy and there was a slight sweetness to it. It actually reminds me of St Mel's Helles. Pauline agreed and since that's one of her favourite beers, she drank most of it while I moved on to the next one. 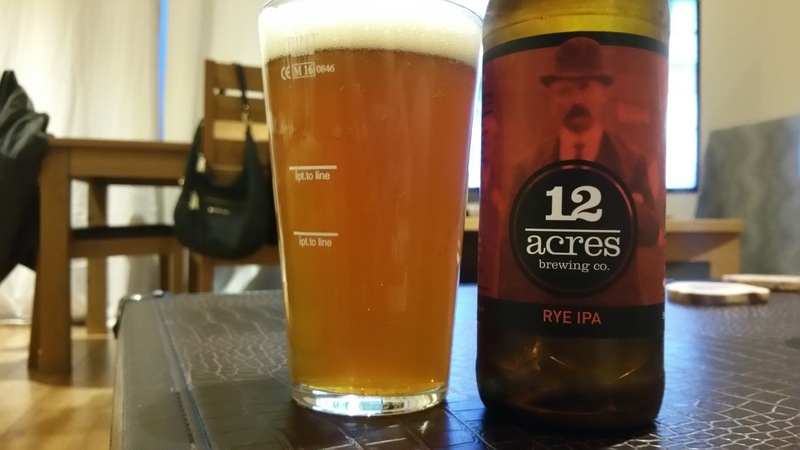 The Rye IPA was my favourite from the range. A 5.5% IPA packed full of grapefruit and peach. There's also the distinct taste of ryvita crispbread, one of my favourite snacks. I love the spicy, slightly sweet and toasted qualities.